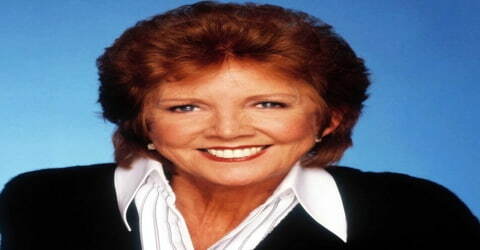 Cilla Black – English singer, television presenter, actress, and author. 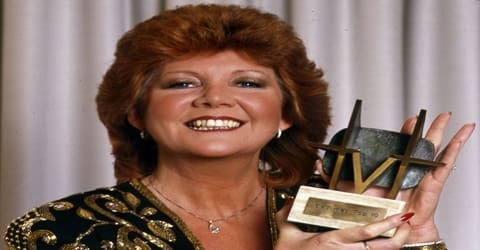 A British singer, actor, TV presenter, and author, Cilla Black was born Priscilla Maria Veronica White in Vauxhall, Liverpool, Lancashire, England on 27 May 1943. She was one of Britain’s top pop vocalists in the 1960s, with two number-one hit ballads in 1964, “Anyone Who Had a Heart” (written by Burt Bacharach and Hal David) and “You’re My World” (an English version of the Italian song “Il Mio Mondo”), as well as hit covers of such songs as “It’s for You” by the Beatles and “You’ve Lost That Lovin’ Feeling,” co-written by Phil Spector. Black was always interested in the prospect of becoming a musician. She started her career in 1965, with the release of her debut album, ‘Cilla,’ which was a big success. A year prior to that, her singles ‘Anyone Who Had a Heart’ and ‘You’re My World’ made waves across the country. 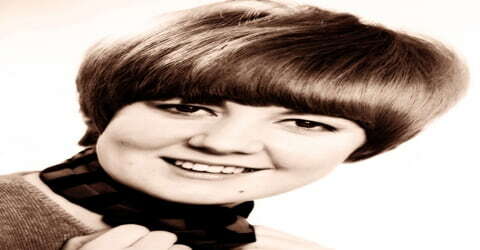 Throughout her music career, she released 15 albums, including ‘It Makes Me Feel Good’ and ‘Surprisingly Cilla,’ and attained international success. She was the second and the only female singer from Liverpool to become a bestselling music star, after ‘The Beatles.’ Along with managing a successful singing career, she hosted her own variety show for ‘BBC’ named ‘Cilla’ between 1968 and 1976. Cilla Black holds a unique position in the history of pop music and the British Invasion. As Brian Epstein’s discovery and protégée, she was the first and only important female performer to emerge from Liverpool in the heyday of the British beat boom. In conjunction with Epstein’s management and George Martin’s production skills, she became a formidable ballad singer, her hits lasting longer than any Epstein clients other than the Beatles. And she became one of the most beloved pop/rock performers in England during the late ’60s and ’70s, and one of the country’s most popular television stars. Later, Cilla Black became a successful TV presenter. She hosted a number of popular shows, such as ‘Blind Date,’ ‘Surprise Surprise,’ and ‘The Moment of Truth,’ between 1985 and 2001. In 2013, Black celebrated 50 years in show business. British television network ITV honored this milestone with a one-off entertainment special which aired on 16 October 2013. The show, called The One & Only Cilla Black, featured Black herself and was hosted by Paul O’Grady. Cilla Black died on August 1, 2015, following an accident in her villa in Estepona. Cilla Black, by name of Priscilla Maria Veronica White, was born on May 27, 1943, in Vauxhall, Liverpool, Lancashire, England to John Patrick White and Priscilla Blythen. She grew up in the Scotland Road area of Liverpool. She had Irish roots from both her parents’ families. She inherited Welsh genes from her maternal grandfather, Joseph Henry Blythen, who was from Wrexham. Black was raised in a Roman Catholic household, and attended St Anthony’s School, situated behind St. Anthony’s Church in Scotland Road, and Anfield Commercial College, where she learned office skills. Black always wanted to become a musician and showed glimpses of her talent when she started working at Liverpool’s ‘Cavern Club.’ She worked part-time in the club’s cloakroom. The club was famous for its association with ‘The Beatles,’ and during one her shows, she managed to impress the band’s members. She got her first chance to sing professionally at the ‘Casanova Club,’ located on London Road. Liverpool-based promoter Sam Leach booked her first show, which was a success. She also performed at a few more venues and slowly gained fame with her stunning performances. 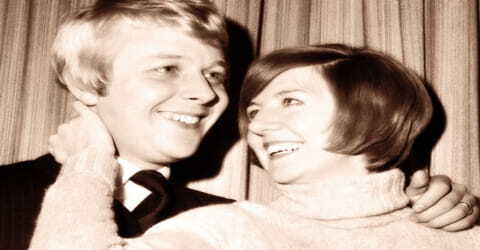 Cilla Black was married to her lover and personal manager, Bobby Willis, for 30 years from 1969 until he died from lung cancer on 23 October 1999. They had three sons: Robert (born 1970, who became her manager), Ben (born 1974) and Jack (born 1980). Their daughter, Ellen (born 1975), was born prematurely and suffered lung complications, living for only two hours. Cilla Black was politically active and supported the ‘Conservative Party’ all her life. She displayed her adoration for Margaret Thatcher publicly in 1993. She made a stage appearance in an April 1992 rally of the ‘Conservative Party’ and supported Margaret’s successor, John Major, who later won the elections. However, in a 2004 interview with The Guardian, Cilla Black claimed that she was “apolitical”. The Liverpool Echo also quoted her as saying: “as for the politics thing, I’m not a Conservative.” In August 2014, Black was one of 200 public figures who were signatories to a letter to The Guardian expressing their hope that Scotland would vote to remain part of the United Kingdom in September’s referendum on that issue. 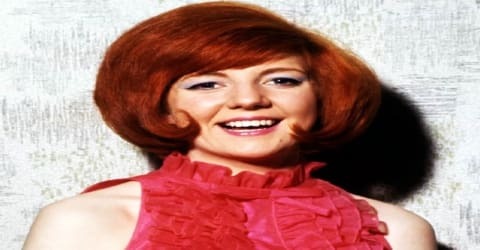 Cilla Black worked as a guest singer with bands such as ‘Rory Storm and the Hurricanes’ and ‘The Big Three.’ At the same time, in the early 1960s, she worked as a waitress at the ‘Zodiac Coffee Lounge,’ where she met Bobby Willis, who later became her husband. She signed her first contract with Terry McCann, who was her neighbor and a longtime friend. However, this contact was never honored, as it was made when she was a minor. Later, she was introduced to Brian Epstein by John Lennon, who convinced him for an audition. The audition turned out to be a failure. Epstein introduced Black to George Martin who signed her to Parlophone Records and produced her début single, “Love of the Loved” (written by Lennon and McCartney), which was released only three weeks after she joined Epstein. Despite an appearance on ABC Television’s popular Thank Your Lucky Stars, the single peaked at a modest No. 35 in the UK, a relative failure compared to the débuts of Epstein’s most successful artists (the Beatles, Gerry, and the Pacemakers and Billy J. Kramer & the Dakotas). Black’s second single, released at the beginning of 1964, was a cover of the Burt Bacharach-Hal David composition “Anyone Who Had a Heart”, which had been written for Dionne Warwick. The single beat Warwick’s recording into the UK charts and rose to No. 1 in Britain in February 1964 (spending three weeks there), selling 800,000 UK copies in the process. Her second UK No. 1 success, “You’re My World”, was an English-language rendition of the Italian popular song “Il Mio Mondo” by composer Umberto Bindi. Black also enjoyed chart success with the song in America, Australia, New Zealand, Europe, South Africa, and Canada. Both songs sold over one million copies worldwide and were awarded gold discs. What “I Only Want to Be with You” is to Dusty Springfield, “Shout” is to Lulu, and “Always Something There to Remind Me” is to Sandy Shaw, “You’re My World” is to Cilla Black a signature song that stands astride her whole career. In 1965 Black was invited to record a new Bacharach and David song as part of a promotional campaign for the soon-to-be-released film Alfie, starring Michael Caine. Reluctant to take the assignment, she made what she considered impossible demands: Bacharach himself had to do the arrangements and fly to London to play the piano and conduct the recording session. He agreed to all of her conditions, and Black’s recording was used to publicize the film, though it was not used in the soundtrack. Black’s version of “You’ve Lost That Lovin’ Feelin'” (1965) reached No. 2 on the UK charts, a week later the Righteous Brothers’ original version of the same song went to No. 1 while Black’s version dropped to No. 5. The single wasn’t critically well received, however; the Rolling Stones’ manager Andrew Loog Oldham took out an advert in the Melody Maker to deride Cilla’s efforts compared with the original. In 1965, Cilla Black released her debut self-titled album, ‘Cilla,’ under the label ‘Parlophone Records.’ The album had 12 songs and attained critical and commercial success, reaching the fifth spot on the ‘UK Albums Chart.’ The album was produced by George Martin and had some successful songs, such as ‘Dancing in the Street’ and ‘Love Letters.’ Following the success of her debut album, Cilla started working on her sophomore studio album, ‘Cilla Sings a Rainbow,’ which was released in 1966. This album, too, was a major success and reached the fourth spot on the ‘UK Albums Chart.’ The album saw her collaborate with George Martin yet again. Consisting of 13 songs, the album was a chartbusting success. Black had two additional major hits in 1966, “Alfie” and “Don’t Answer Me,” both of which made the British Top Ten. Up to that point, her career had been handled by Brian Epstein, in whose hands she’d become a star. She began having doubts about his management in 1966, however, and considered but initially abandoned plans to leave him in favor of Robert Stigwood. By the end of 1966, Black had been a guest on Peter Cook and Dudley Moore’s show Not Only… But Also, had appeared on The Eamonn Andrews Show, and in a Ray Galton–Alan Simpson revue in London’s West End Way Out in Piccadilly alongside Frankie Howerd, and had starred in the television special Cilla at the Savoy, which was one of the most watched music specials of the 1960s. At the time of Epstein’s death in the summer of 1967, Black was one of his two remaining clients. Epstein’s attempts to make Black a film actress were less successful. A brief appearance in the “beat” film Ferry ‘Cross the Mersey (1965) and a leading role alongside David Warner in the psychedelic comedy Work Is a Four-Letter Word (1968) were largely ignored by film critics. In a 1997 interview with Record Collector magazine, Black revealed she was asked to appear in the film The Italian Job (1969), playing the part of Michael Caine’s girlfriend, but negotiations fell through between producers and her management over her fee. Relations between Epstein and Black had somewhat soured during the year prior to his death, largely because he was not paying her career enough attention and the fact that her singles “A Fool Am I” (UK No. 13, 1966) and “What Good Am I?” (UK No. 24, 1967) were not big successes. In her autobiography, Black said that Epstein had tried to pacify her by negotiating a deal that would see her representing the UK in the 1968 Eurovision Song Contest. However, Black refused on the basis that Sandie Shaw had won the previous year’s contest and that the chances of another British female artist winning were few. In 1968 Black was back in form, reaching the Top Ten twice, with “Step Inside Love,” a Lennon-McCartney song, and “I Couldn’t Take My Eyes Off You,” and the following year was back up there again with “Surround Yourself with Sorrow” and “Conversations.” These successes were assisted by Black’s British television variety series, Cilla, which featured some of the top pop/rock musical talent of the period. After 1969, Black’s days of charting singles were over. That same year, she married songwriter, Bobby Willis. Black had a further big hit with “Something Tells Me (Something’s Gonna Happen Tonight)” (UK No. 3) in 1971. Black’s association with the Beatles continued. At the 1971 Cannes Film Festival, she joined George Harrison, Ringo Starr, and singer Marc Bolan to attend a screening of the John Lennon-Yoko Ono experimental film Erection. She also holidayed with Harrison and Starr on a trip aboard a yacht chartered by Starr. “Photograph” was written on this trip originally intended for Black but Starr decided to record it himself. George Harrison also wrote two songs for Black: “The Light that has Lighted the World” and “I’ll Still Love You (When Every Song is Sung)”. 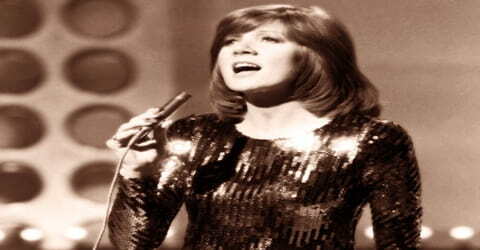 The latter she recorded during 1974 with her then-producer David Mackay, but it was not heard publicly until 2003 when it was included on a retrospective collection entitled Cilla: The Best of 1963-78. A frequent TV guest, Cilla Black starred on her own variety show, Cilla (1968-76), and served as the presenter on Surprise Surprise! (1984-2001) and Blind Date (1985-2003). Black wrote two autobiographies: ‘Step Inside’ (1985) and ‘What’s It All About?’ (2003). Black’s recording career with EMI continued into the mid-’70s, but much of her career activity by that time was centered on television rather than the recording studio. She still released singles and albums, including a notable collection of songs from her past entitled In My Life. She subsequently worked in two popular and critically successful series, Blind Date and Surprise Surprise the former also earned her an award from BAFTA (the British Academy of Film and Television Arts). In 1993 Cilla Black released Through the Years, an album of new material featuring duets with Dusty Springfield, Cliff Richard, and Barry Manilow. Ten years later, in 2003, she released the album Beginnings … Greatest Hits and New Songs. During 2006-07, Black’s 1971 single “Something Tells Me (Something’s Gonna Happen Tonight)” was used as the soundtrack to a new British advertising campaign for Ferrero Rocher chocolates. During the 2008-09 pantomime season, Black returned to live musical performance in the pantomime Cinderella, appearing as the Fairy Godmother. Black was part of an all-Scouse cast assembled in this three-hour stage spectacular to mark the end of Liverpool’s year as European Capital of Culture. The show incorporated a number of Black’s successes, which she performed live, including “You’re My World”, “Something Tells Me”, “Step Inside Love” and “I Can Sing a Rainbow”. Black received rave reviews for her singing and overall performance. On 7 September 2009, a total of 13 original studio albums (the first seven produced by George Martin) recorded by Black between 1963 and 2003 were released for digital download. These albums featured an array of musical genres. For the 2010 winter pantomime season, Black appeared in Cinderella at the Waterside Theatre in Aylesbury, Buckinghamshire. Her last album, ‘The Very Best of Cilla Black,’ was released in 2013. Following her death in 2015, it attained the top spot on the ‘UK Albums Chart.’ It was her first number one album. Black was the best-selling British female recording artist in the UK during the 1960s, releasing a total of 15 studio albums and 37 singles. Cilla Black was honored with the ‘Order of the British Empire’ (OBE) in 1997, was the recipient of a special BAFTA award in 2014. Black was also honored by ‘ITV’ for competing for 50 years in the entertainment industry, with a show titled ‘The One and Only Cilla Black,’ aired in 2013. The show starred Cilla Black and was hosted by Paul O’Grady. Cilla Black died on August 1, 2015, at the age of 72 after a fall at her villa during a trip to Spain. It was rumored that her body was found 4 hours after her death and that she had died due to a stroke. A ten-page pathologist’s report confirmed that Black had suffered a subarachnoid hemorrhage after falling backward and hitting her head, it was thought, on a terrace wall. Her funeral was held at ‘St. Mary’s Church’ in Liverpool on August 20, 2015. She was buried in a private ceremony at Allerton Cemetery in Allerton on the same day. Cilla Black remained one of the most popular entertainers in England into the 21st century, with ITV honoring her 50 years in show business with a TV special titled The One & Only Cilla Black in October 2013. That same month, Parlophone Records released The Very Best of Cilla Black, a 26-track collection that included all 19 of her U.K. Top 40 singles. In 2014, Cilla Black was the subject of a three-part television drama series, Cilla, focusing especially on her rise to fame in 1960s Liverpool and her relationship with Bobby Willis. ITV aired the first installment on 15 September 2014, starring actress Sheridan Smith as Black. In August 2014, Black was one of 200 public figures who were signatories to a letter to The Guardian expressing their hope that Scotland would vote to remain part of the United Kingdom in September’s referendum on that issue. On 21 August 2015, the day after her funeral, The Very Best of Cilla Black, a compilation album of the most popular songs in her career, went to number one on the UK Albums Chart. It was Black’s first number one album.